An unprecedented occult exploration of deep, dense, pulsating low woodwind music from the world's only composing bass clarinet quartet, the sole proprietors of heavy chamber music. HEAVY CHAMBER MUSIC, MUZAK FOR CONSPIRACY THEORISTS. 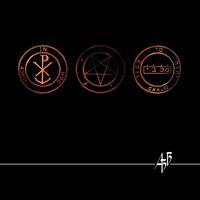 EDMUND WELLES: THE BASS CLARINET QUARTET's debut CD, Agrippa's 3 Books, explores the expressive extremes of the four bass clarinets, inspired by occult philosophy heavy metal music. Mixed and mastered by Grammy award-winning sound alchemist, Oz Fritz (Tom Waits, Bill Laswell, Primus), the sonorous timbre of this potent instrumentation takes woodwind chamber music into the realm of Led Zeppelin, Pink Floyd and Melt-Banana. Agrippa's 3 Books, features the piece of the same name (commissioned by Chamber Music America), composed by founding member, Cornelius Boots, as well as a classic metal trilogy of cover tunes from Black Sabbath, Sepultura, and Spinal Tap. This album comes in Deluxe packaging (designed by Theresa Wong) including a 24-page booklet detailing connections between the occult, sound, the bass clarinet and various influences on the composition and performance. "There are patterns whose configuration mimes the harmony of the universe: a kind of ultra-sound, to establish contact with the subterranean currents." "All the frequencies I respond to." "This strange thing may be the most original and total use of the clarinet yet recorded. Steeped in arcane symbols, clever wit and skilled musicianship, Agrippa’s 3 Books defies all expectations of the range of its featured instrument. Despite the dense philosophies expounded in the accompanying booklet, the Edmund Welles quartet is hardly a somber experiment, calling forth honks, buzzes, beeps, hums, the stormy grind of a heavy-metal guitar, and the bluesy cry of a saxophone all from the clarinet’s throat. It surges in staccato bursts and slows to a vintage vibrato, demanding attention, irritating if left as mere background music. If there’s such a thing as in-your-face classical, this would be it, deft and tricky, nervy yet polite. Includes diverse and astute references to David Lynch, Arturo Perez-Reverte, Black Sabbath, and Spinal Tap." "The music itself matches the titles well, consistently out of kilter, full of disarmingly quirky juxtapositions and rhythmic surprises. Boots has an inventively playful take on his material, and the unforeseen turns that the music makes are both highly sophisticated and highly entertaining, even more fun than the program notes lead us to expect. For fans of new music and/or heavy metal, Boots\' original voice is not to be missed." "Edmund Welles: the bass clarinet quartet, really is unique. Their intricate, classically arranged but sometimes rock-inflected clarinet music--BASS clarinet music--transports the listener into a special state of mind, where strange notions flower. It\'s all fairly indescribable." If you enjoy "avante-garde" jazz as well as Spinal Tap and Emperor, this is the cd for you. Some of the quartet's original material brought to mind the arrangements of John Zorn's group Masada, while the sound of four bass quartets playing flawlessly over eachother is something I can't say I'd ever heard before. Great musicians, great spirit, great music in the end. I was pretty impressed at how well metal music translates to 4 honking bass clarinets. Open fifths and octaves on bass clarinets sound eerily simliar to the same power chords of metal bands of yore. The Agrippa's Books piece is great, some wonderful techinical moments, and Big Bottom just cracked me up. kudos. Very impressive recording. All aspects handled beautifully - composing, arranging, performing, recorded sound, packaging, liner notes...Highly recommended. Serious music, but with a sense of humor. Out there, but engaging. Deep, raunchy and studious, Agrippa's 3 Books had me from the beginning and held on to the end. Got this album while I was going through a Twin Peaks marathon and it was the perfect accompaniment to the ensuing mood. Check out their cover of Roots Bloody Roots! Great stuff, nice mix of compositions/covers and great sound. You might call it "clarinet rock." If the clarinet brings up painful, high school band memories, this album is an absolute must. And if it doesn't, still, this album is a must. Never have you heard the clarinet take on so much attitude, so much angst, so much personality. Mixing in styles and approaches from contemporary classical writing to jazz to just good old rock 'n roll licks, Edmund Welles's album, "Agrippa's 3 Books," wins the award for capturing the most imagination and making the most out of one instrument family. Just listen. The recordings are strong on melody, with no drums or wall-of-sound to obscure these great players. This CD is a musical treat with many flavors to enjoy. If you play music, listen and learn. Great music to make you feel good inside. Sooothing. Eye-opening. An incredible, Unique, Unusual Audio experience. If you are looking for something fresh, tangible and relaxing this is it. If you like music, and I mean really like, like get in bed and spoon with it, than you need to buy this CD and expose eveyone you know to it.